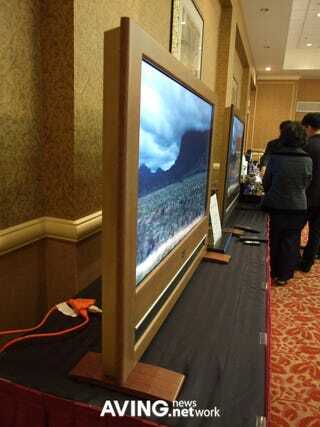 A few days ago Nastar unveiled its new Essoni HDTV, what they claim is the world's thinnest 1080p TV. Coming in at a mere 2.45-inches thick at both its 47-inch and 52-inch sizes, it's certainly thin, and it'll mount quite nicely to your wall. The problem is, Hitachi has thinner full-HD LCDs, as does Samsung. Nice try, Nastar. Hit the jump for another picture.